We are proud to offer a wide range of specific, comprehensive services to meet the needs of adults, seniors, and pediatric patients. I trust Nichole with every bone in my body (literally!). She is wise, determined and kind - everything a chiropractor should be. I've been to a few different chiropractors over the last 10 years But Dr. Hudson has been the best by far. 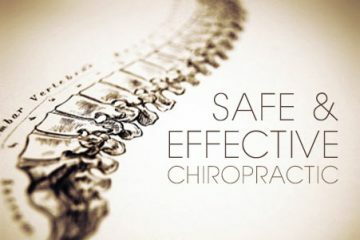 Since coming to Hudson Family Chiropractic I have experienced relief from the painful tension in my lower back. Dr. Hudson has an exceptional knowledge of anatomy and her craft. It's a family friendly environment and I would highly recommend for anyone with any back or neck pain! Dr. Hudson always makes me feel better! She's the only chiropractor that has actually helped my migraines. I have and do highly recommend her! This was my first experience with a chiropractor. Nichole is extremely knowledgeable and skilled in her practice. I felt so safe and cared for. She took so much time to explain every process, the reasoning behind it, the anatomy and physiology to back it (no pun). She even explained post care at length, including cold versus heat therapy. I have never been to such a thorough provider visit. She went above and beyond in making herself available for follow-up visits, as my schedule is limited. I recommend her to anyone looking for a chiropractor. Dr. Hudson uses various treatments to restore you to pain-free, healthy living. She thoroughly evaluates & treats all of the contributing root factors related to your issue. This may include factors such as previous injuries, your work and home stresses, overall body condition, nutrition, posture and muscle imbalances. She has a passion for serving the Greece, NY community and welcomes the chance to meet with you to discuss your health care goals. No matter whether your condition has been bothering you for months, you woke up with a pain you can't shake or you want to maintain the good health you already enjoy... I welcome the chance to serve you. We accept all major insurances. We are in network with Excellus, Blue Cross Blue Shield, Aetna and United Healthcare. We will be in Network with Cigna and MVP healthcare soon (estimated July 2018). If we are out of network with your insurance or you do not have insurance please call us and we will discuss your options. We strive to always keep care affordable!